You know Tiramisu, don’t you? Tiramisu is a cake that every Italian girl makes it in the Valentine’s Day. I’m not distracted in this topic because you’ll see why I wrote this post of mascaporne cheese today. Well, mascaporne cheese can be called a cousin of cream cheese. Preferably for me, mascaporne has more sweet taste and tangy feeling than its cousin. Of course, there is no sour flavor too in this very styled Italian cream cheese. My fridge rarely has mascaporne because I know the homemade one could make it up to my work. With only heavy cream and lemon juice, you can easily make this cheese. I had some experiences working with Tiramisu. First you need to beat well the storebought mascaporne before adding it to the egg mixture, otherwise your Tiramisu wouldn’t be set firm to be ready for serving. Secondly, if you can’t remember the first tip, let’s try making mascaporne cheese at home. This easy to follow process would give you a no flaw Tiramisu, even if you forget to beat it well for having a good shaped Tiramisu. Certainly, this homemade cheese is cheaper than the store-bought one. – In a medium heat, heat the heavy cream to a boil. – Add lemon juice and stir well frequently. You’ll start to see the water separates from the milk curds. – Stir for another 10 minutes until you see the water is translucent. – Remove from the boil. – Use a find mesh strainer or cheese cloth, pour in the cheese. Cover by a plastic wrap and let it sit in fridge overnight for at least 12 hours. – Press the cheese against the cloth or strainer to remove all the water. 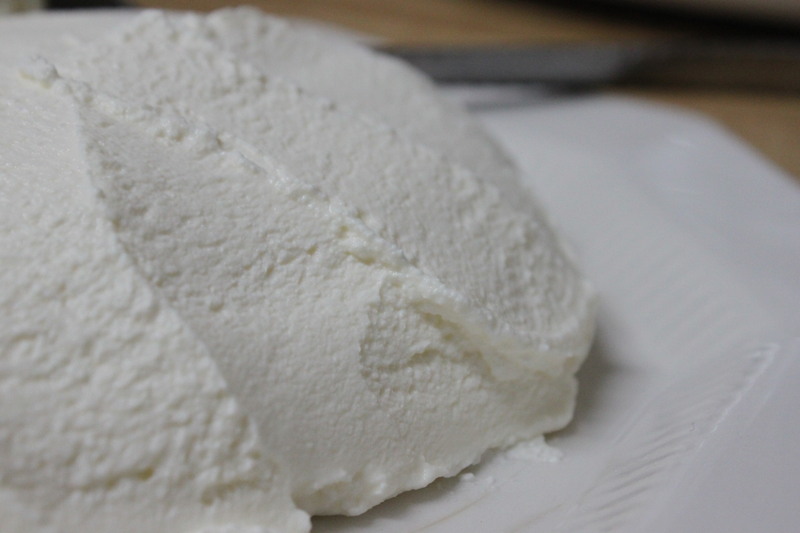 Your cheese is ready for making Tiramisu or any type of cake that requires Mascaporne. This entry was posted in cake, Italian and tagged cheese, dessert, italian cheese, tiramisu cake. Bookmark the permalink.